Francesco I d'Este, Duca di Modena was born on 5 September 1610. He was the son of Alfonso III d'Este, Duca di Modena and Isabel di Savoia.1 He married, firstly, Mary Farnese, daughter of Rainuzzio I Farnese, Duca di Parma and Margherita Aldobrandini, on 16 January 1631. He married, secondly, Lucretia Barberini, daughter of Taddeo Barberini, Prince of Palestrina, in 1654.2 He died on 13 October 1658 at age 48. Mary Farnese was born on 18 February 1615. She was the daughter of Rainuzzio I Farnese, Duca di Parma and Margherita Aldobrandini. She married Francesco I d'Este, Duca di Modena, son of Alfonso III d'Este, Duca di Modena and Isabel di Savoia, on 16 January 1631. She died on 16 June 1646 at age 31. 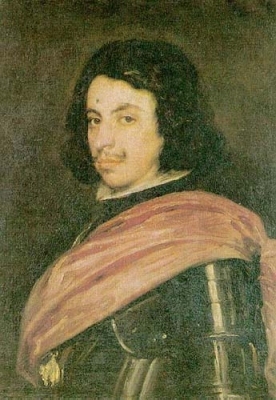 Alfonso III d'Este, Duca di Modena was born on 20 October 1591. 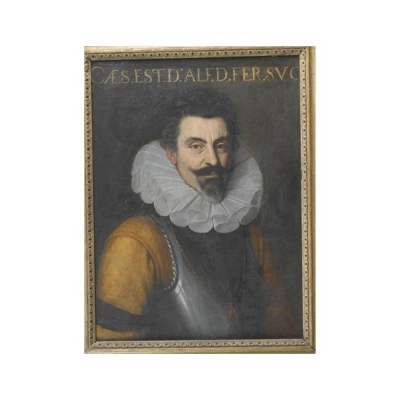 He was the son of Cesar d'Este, Duca di Modena and Virginia de Medici.1 He married Isabel di Savoia, daughter of Carlo Emanuele I, Duca di Savoia and Catalina Micaela von Habsburg, on 22 February 1608. He died on 24 May 1644 at age 52. Isabel di Savoia was born on 11 March 1591. She was the daughter of Carlo Emanuele I, Duca di Savoia and Catalina Micaela von Habsburg. She married Alfonso III d'Este, Duca di Modena, son of Cesar d'Este, Duca di Modena and Virginia de Medici, on 22 February 1608. She died on 28 August 1626 at age 35. Cesar d'Este, Duca di Modena was born on 9 October 1552. He was the son of unknown d'Este.1 He married Virginia de Medici, daughter of Cosimo I de Medici, Granduca di Toscana, on 6 February 1586. He died on 11 December 1628 at age 76. Virginia de Medici was born on 29 May 1568. She was the daughter of Cosimo I de Medici, Granduca di Toscana. She married Cesar d'Este, Duca di Modena, son of unknown d'Este, on 6 February 1586. She died on 25 March 1615 at age 46. 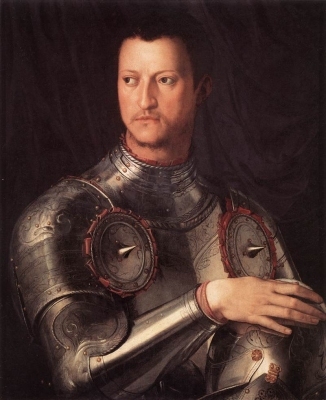 Cosimo I de Medici, Granduca di Toscana was born on 12 June 1519 at Florence, ItalyG.2 He was the son of Giovanni de Medici and Mary Salviati. He married Eleanora de Toledo, daughter of Peter Alvarez de Toledo, Marques de Villa-Franca and Maria Osorio Pimental, on 29 March 1539. He died on 21 April 1574 at age 54. [S377] Kunsthistorisches Museum, Vienna, online http://bilddatenbank.khm.at. Hereinafter cited as Kunsthistorisches Museum. Rainuzzio I Farnese, Duca di Parma was born on 28 March 1569. 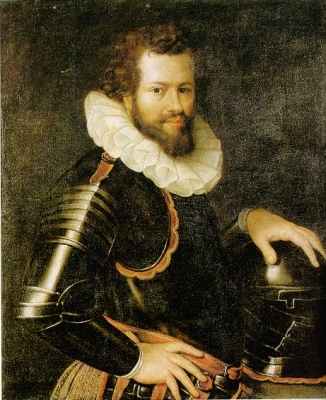 He was the son of Alessandro Farnese, Duca di Parma and Maria de Aviz. He married Margherita Aldobrandini, daughter of John Francis Aldobrandini and Olimpia Aldobrandini, on 7 May 1600. He died on 5 March 1622 at age 52. Margherita Aldobrandini was born circa 1585.2 She was the daughter of John Francis Aldobrandini and Olimpia Aldobrandini. She married Rainuzzio I Farnese, Duca di Parma, son of Alessandro Farnese, Duca di Parma and Maria de Aviz, on 7 May 1600. She died on 9 August 1646.